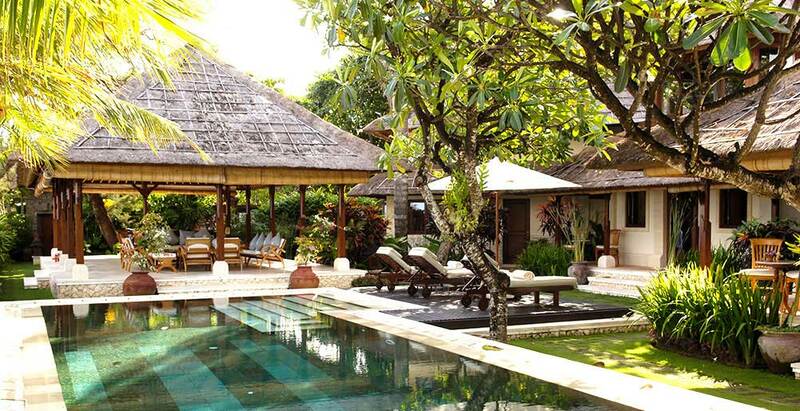 You can’t find a better location in Sanur than Villa Cemara! This multi-pavilion Bali-style villa is spread across 60 metres of absolute beachfront land, with direct beach access and fantastic sea views from the open-sided living pavilion, large master suite, and all four ensuite guest bedrooms. Sunbathe on the deck, cool off in the 10-metre pool, siesta in the raised beachside bale, build castles in the golden sand mere metres away. Enjoy the attentions of the dedicated staff, happy to whip up gourmet meals, mix cocktails, and see to your every whim. Isn’t that just perfect!